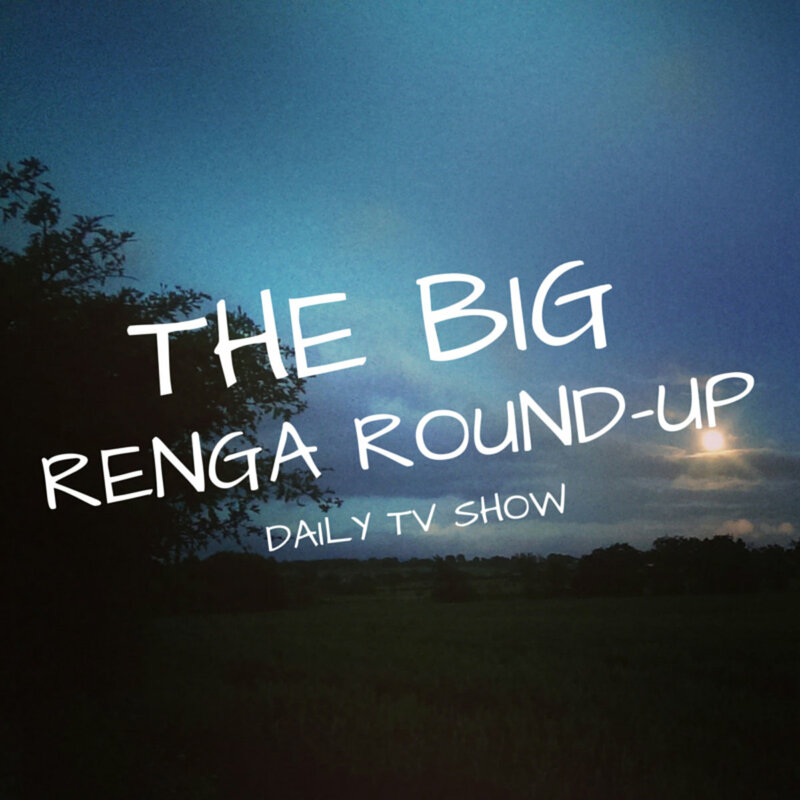 Lots of preparation is going on behind the scenes to support the launch of The Big Renga Project on the 1st December. Renga is a cross between jazz , chess and a murder mystery (where you’re constantly changing your mind about “who-dunnit”) . At the moment the poets are getting their heads around all the rules so that when it comes to the time to “play”, everyone can relax and have fun. You could say that The Big Renga Project is quite an esoteric undertaking, something that you might only enjoy, or understand, if you were involved in the project and had immersed yourself in the spirit of this collaborative form of poetry. Realising that the art of renga has a huge amount to teach us both in terms of an outlook on life and in terms of the way we collaborate and express ourselves, it occurred to me that inviting people to share our experiences might be something really worthwhile. And that’s when I hit upon the idea of running a daily TV show throughout the project 🙂 . Think about those football programmes with post-match reviews; or about the television programmes covering the Olympics where, after each event, a panel of experts analyses the performances of the day – and some of the competitors actually come on the show too. That’s the approach I’m aiming to deliver on the TV show. The programme will be fun (and probably more than a little tongue-in-cheek)! It’s going to teach the viewers about the form and get them in involved in the process too. It’s also going to help the community of poets get tactical as they develop a deeper understanding of the form.